Well, here are the photographs I took in Taiwan last May. 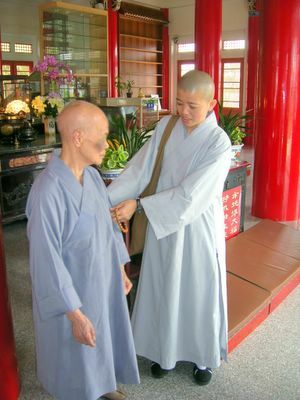 They do not even begin to touch the hairy moments of the journey, or the day of visiting temples with dear DurAn, or the heat… DurAn, wonderful monk, four month ordained charged with the task of showing me around with no common language between us save nods and smiles and waving of hands. The nun we met had been ordained since childhood. She turned her rosary, constantly. I remember signaling, and using our electronic dictionary, to say something like, “I hope we are doing as well, when we reach her age”! We both could appreciate her commitment, and the hard training of her life. It was a happy meeting for all of us. 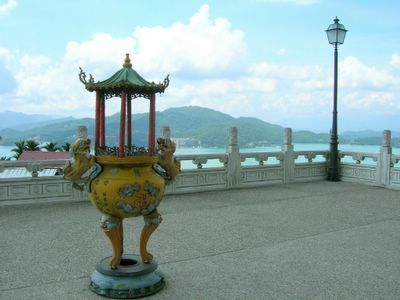 Temple grounds, Sun Moon Lake, Taiwan where the relics of Xuan Zhuang are enshrined. DurAn with 80 or 90 year old nun who takes care of the temple single handedly. This image of Xuan Zhuang, our Buddhist Pilgrim of yesterday, rests in the grounds of a temple in Naruto, Japan. Behind him is a garden devoted to Kobo Daishi. “Is there a connection,”? 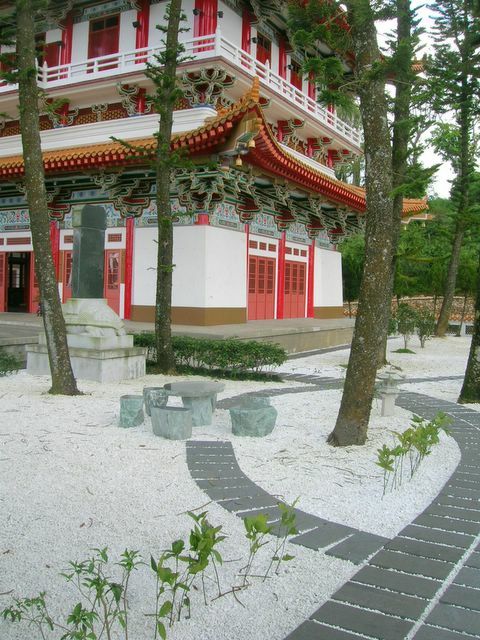 Or perhaps the question is “why is this image here at this temple, in Japan”? 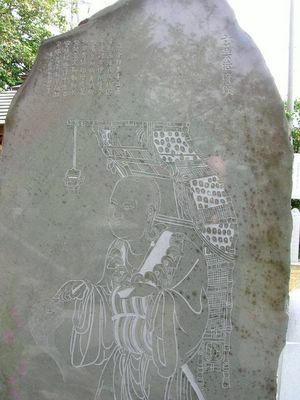 The only connection I can find is that Kobo Daishi traveled to the town, Xi’an, in China where Zuan Zhuang was based, but not at the same time. For as long as I can remember I have been attracted to this image. The traveling monk I guess.